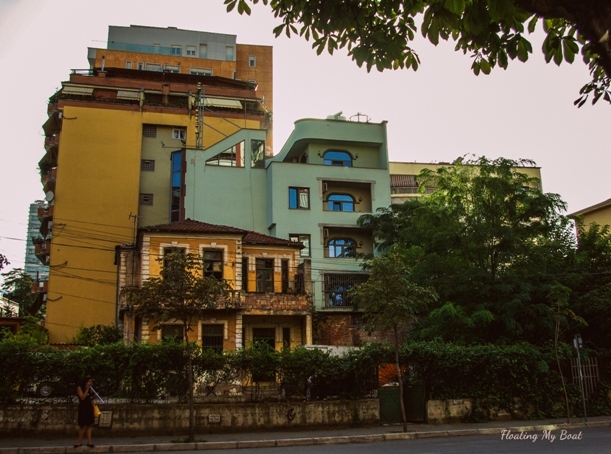 Somehow, I fell in love with Tirana. 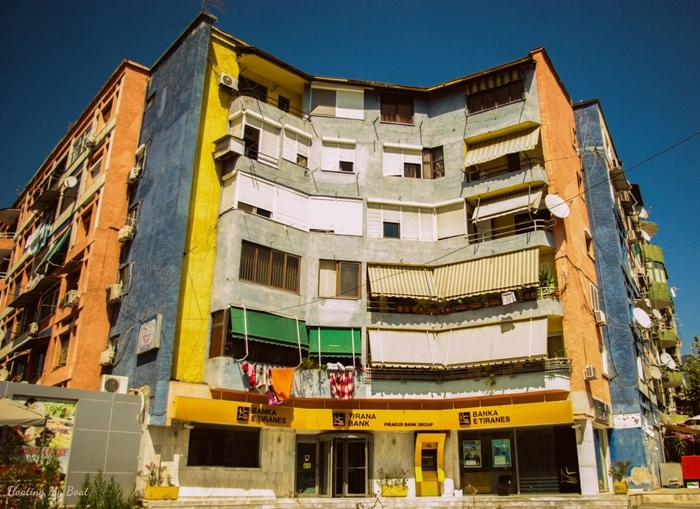 Before visiting Albania I knew very little about this country. 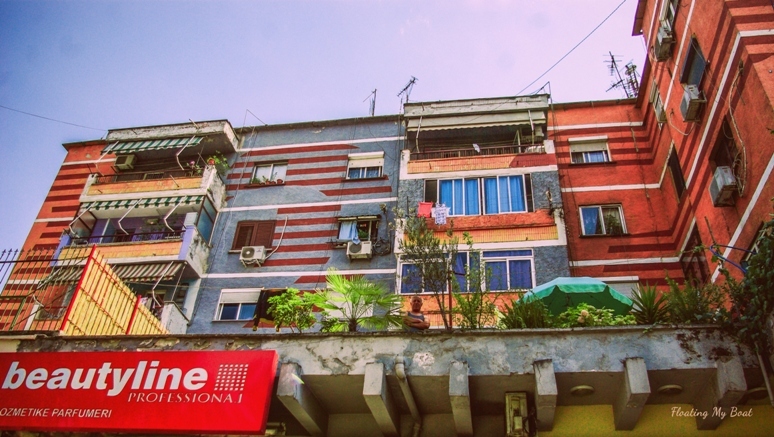 I had read somewhere, though, that after the fall of communism, Edi Rama, the current Prime Minister of Albania and the former mayor of Tirana, an artist and a painter, decided to revive the city by splashing it with colours. He wanted to enliven the grey, depressing, concrete communist monsters. This was the only reason why I decided to visit Tirana. How glad I am now I did it! I became very curious about this mysterious capital city which has had such a rough path in the past. Albanian history, on the whole, seems to have had more downs than ups with being occupied first by Fascist Italy, next by Nazi Germany and gaining ostensible independence in the form of almost 40-year- long policy of isolationism and corrupted communist dictatorship of Enver Hoxha. Between 1944 and 1992, the country was completely closed not only to foreign visitors but also to domestic travel. Once born in town A, one could virtually not move anywhere else. Hoxha, driven by the fear of foreign dominance, did not only isolate the country, but he also set off on a mission of building indestructible bunkers in case of unexpected invasion (over 700 000 bunkers, one for four inhabitants at that time). So what did Edi Rama do with a grey and sad place when he won the elections for the mayor of Tirana in 2000? He unleashed his imagination and designed the most extraordinary combinations of shapes and colours ever possible. 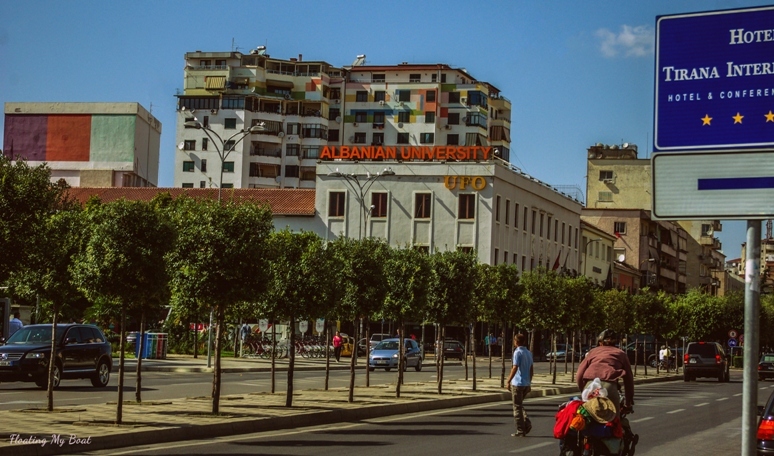 Next, defying the EU discouragement to his wild idea, he insisted on painting Tirana and making it a totally unique place in Europe. He cleaned the city of concrete, disposed of litter in the Lana river and brought back green areas in Tirana. What were the consequences of this Colourful Revolution? 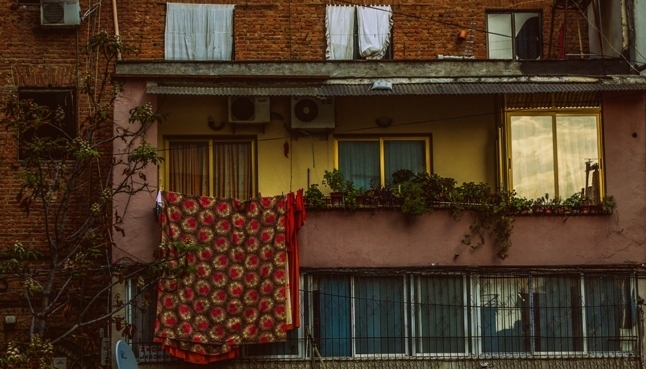 The inhabitants of Tirana, first shyly, then with more confidence, started going out and spending more time outdoors. Rama also installed street lights, got rid of many potholes and kept on painting the buildings. With time, things began to change. People started to feel safe on the streets, their hopes for better futures were revived, somehow there was slightly less corruption, people saw that things can be done in a different way and its them who have power over their lives, not some vague but frightening image of government. 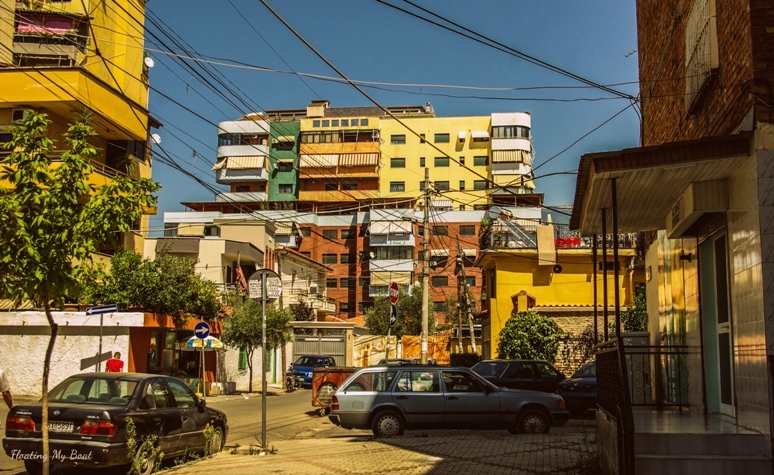 Although some colours have already faded away, Tirana is still extraordinarily colourful. Sometimes, you walk for 15 minutes and see only standard buildings along the streets, only to be hit with bright, unexpected colours, figures and shapes seconds later. 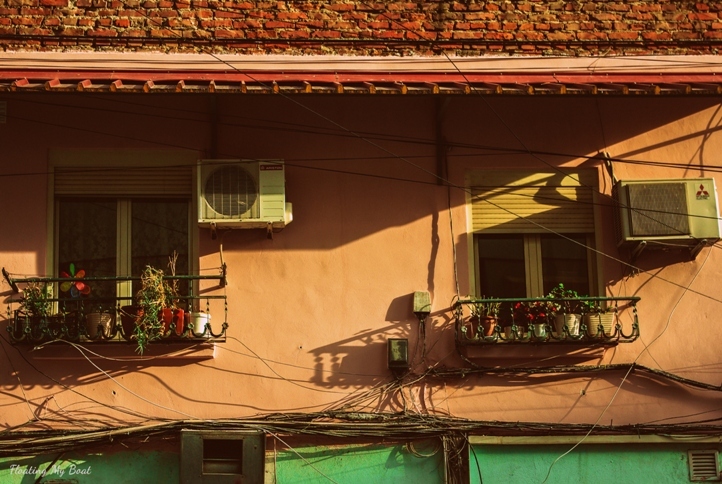 Colourful houses, blocks of flats, offices, institutional buildings emerge in the least expected places. Circles mix with stripes, triangles and dots and the combinations of colours are never obvious. They touch you. 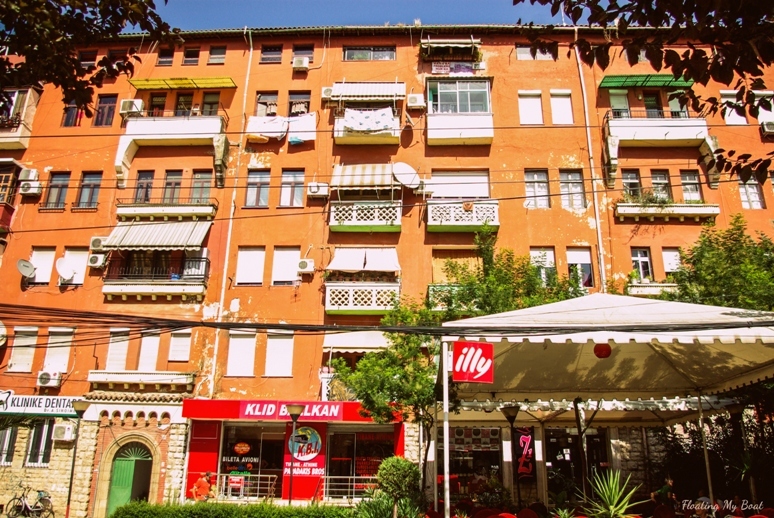 It’s not possible to ignore how Tirana is expressing its message through colours – it’s a city in transition. Not only buildings have changed. When you walk the streets in the evening, you will see plenty of people socialising like in any other European capital city. You can still fall into some deep potholes on the side of some pavements, but frequent street lights will make you aware of the danger in advance. If the Sun makes you tired, it so easy to find a bench in a pleasant shade and cool down for a few minutes. 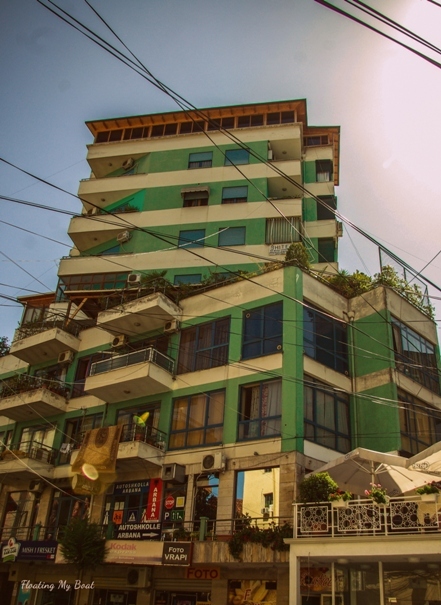 Albanians’ approach to life is also changing. They are learning to enjoy it and embrace it. They start to trust that they have power to shape their realties. They are also becoming more and more aware of the aesthetics and design – I swear, just visit Taiwan district in Tirana and you will be surprised how modern and unique those restaurants and cafes are. And above all – the colours. 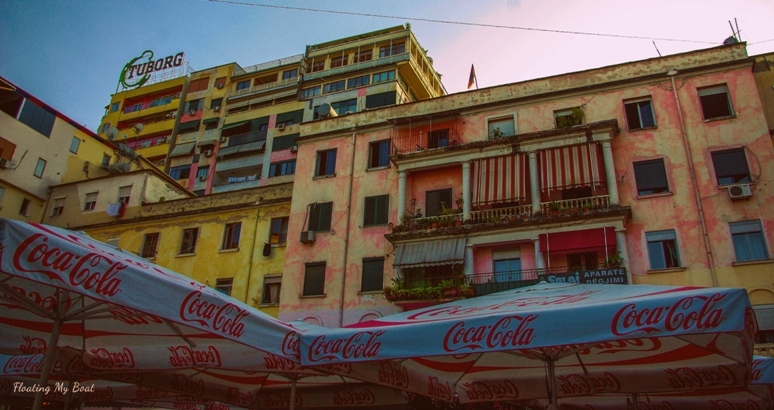 Just walk the streets of Tirana and let yourself be flooded with colours. 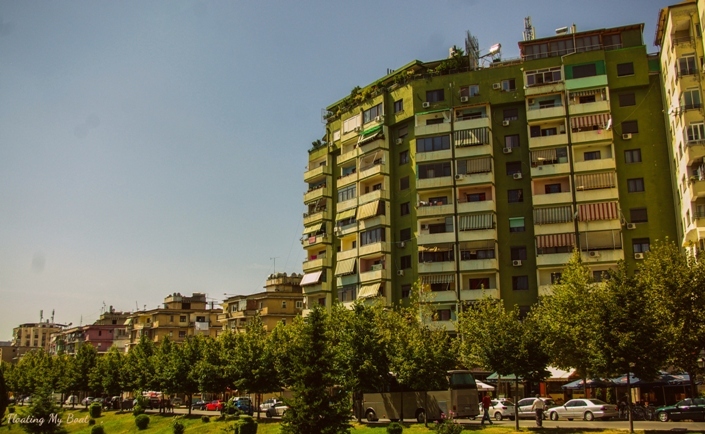 Colours, great company and unique atmosphere – that’s how Tirana won my heart.